Countries often devote public funds to promoting exports of their own goods and services. But devoting resources to promote imports -- as China is doing with its inaugural International Import Expo, which just opened in Shanghai -- is truly rare. The annual Import Expo, which will be part of China’s overall import promotion strategy, has attracted thousands of companies worldwide with the promise of large orders from Chinese firms, including the state-owned enterprises that the government has tasked with making the expo a success. If the expo succeeds in raising imports, one might expect it to reduce China’s trade surplus. But that need not be the case. China is a labor-abundant country, not only in terms of the absolute number of people, but also in relation to capital and other resources. Though the relative balance has been evolving, China’s average labor cost still stands at about 85 percent of the world average. If China lowers import barriers, capital-intensive goods will comprise a substantial share of the added imports, which will displace domestically produced capital-intensive goods. The bank loans, labor, land and other resources that were previously deployed to produce those goods will need to be redeployed, most likely to sectors where China has a true comparative advantage, including export manufacturing. As a result, China’s overall exports would probably increase alongside its imports. In other words, policies aimed at promoting imports will likely end up promoting exports as well. Research I conducted with Jiandong Ju and Kang Shi suggests something even stronger than this: When a relatively labor-abundant country reduces import barriers, exports actually grow more than imports. The additional imports of capital-intensive goods effectively expand the pool of capital in the country, reducing the domestic returns on capital. This creates an incentive for firms and households to send more capital abroad, and running a bigger trade surplus is the way to accomplish this. This may sound counterintuitive. And, indeed, in a more capital-abundant country like the United States, more imports (of mostly labor-intensive products) would raise the returns on capital, creating an incentive for international capital to flow to the country. In this case, more imports are associated with a bigger trade deficit. If one is accustomed to thinking about the experience of relatively rich countries, one might not realize that the same rise in imports could lead to opposite movements in trade balances between developing and developed countries. China’s past experience is a good illustration. Accession to the World Trade Organization in 2001 required China to liberalize its import regime substantially. The country cut its average import tariff rate from 15 percent in the late 1990s to about 5 percent by 2006, and reduced many nontariff import barriers, such as restrictions on which firms could legally engage in international trade. As a result, China’s imports soared, growing by more than 15 percent annually in US dollar terms -- faster than gross domestic product from 2001 to 2007. But its trade surplus also expanded dramatically during this period. While the higher trade surplus is often blamed on an undervalued real exchange rate, our research suggests that China’s import liberalization program could be a significant factor, too. Likewise, though the decrease in China’s trade surplus after 2007 is usually regarded as resulting from the global financial crisis, our research suggests that the end of China’s multiple-phase import-liberalization program may also have played a role. It is important to note that China can still reduce the bilateral trade surplus against any particular partner, even if its overall surplus rises. And even if the Import Expo expands, rather than reduces, the country’s overall trade surplus, it may well have other benefits. For starters, lowering the cost of imports will increase Chinese households’ purchasing power and their access to products that can improve their quality of life. Chinese firms, too, will benefit from lower costs for foreign-made parts and equipment, which will boost their global competitiveness -- another channel through which lower import barriers can end up boosting exports. Finally, the International Import Expo will complement China’s other measures to liberalize its market, including lower entry barriers for foreign financial firms. China has a massive and growing market to which other countries want access. Whatever the impact of its import-promotion measures on the country’s overall trade surplus, the world has good reason to welcome initiatives like the International Import Expo. 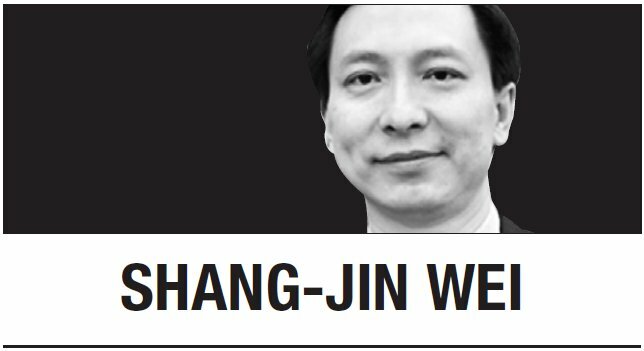 Shang-Jin Wei, a former chief economist of the Asian Development Bank, is a professor of finance and economics at Columbia University. -- Ed.